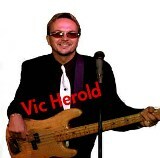 Performed and toured nationally and internationally as a sideman and bandleader, with Blues Pop & R&B artists. Venues included but not limited to major Cruise lines, Festivals, five star Hotels, luxury night clubs. Recorded with Chicago blues artists and performed in a Walt Disney movie "V.I. Warshawski" with Kathleen Turner as well as recording sound track for the film.